Photograph taken by Hugh Morrison showing Stanley Clem, on the left, and Perry Heisman. 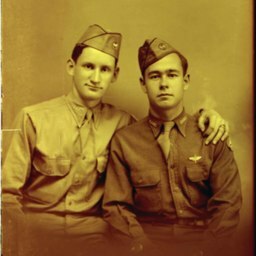 Both men were Shenandoah County residents who served in the US Army Air Corps during World War Two. 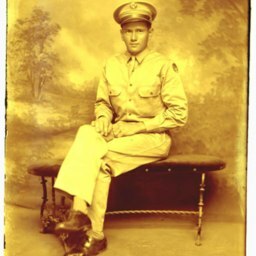 Photograph taken by Hugh Morrison showing Harold Davidson, a Shenandoah County resident who served in the US Army Air Corps during World War Two. 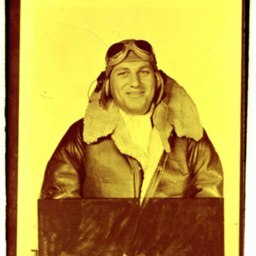 Photograph taken by Hugh Morrison showing Fred Brown Sonner in a flight jacket, most likely from the US Army Air Corps during World War Two.